After leaving Irwin County, tour attendees traveled to Fitzgerald to tour American Blanching/Golden Boy Foods production plant. Here, attendees were able to see how peanut butter is manufactured from raw peanuts being delivered to the plant, to peanut butter leaving in jars or tankers! Tour attendees were also given samples of Golden Boy Foods’ brand of peanut butter, Nut’N Better to take home and try. Click HERE to see a slideshow of the tour. American Blanching began operations in the early 1980s as Fitzgerald Blanching. Under this name, the company provided blanching and cleaning services for the peanut industry. The location of the facility was strategically placed in the heart of the peanut belt, where more than 75 percent of the U.S. peanut crop is within driving distance. The facility has a blanching capacity of 25,000 pounds per hour. This efficiency is due to the company’s use of the latest technology in the industry – from custom designed and built blanchers, to state-of-the-art electronic sorters and X-ray machines. In 1995, American Blanching expanded its operations to include peanut butter. The same Fitzgerald location now has two production plants, where more than 100 million pounds of peanut butter is produced each year. The product is shipped in sizes ranging from retail jars to 40,000 pound tanker trucks. 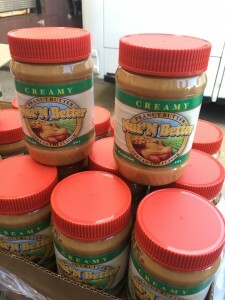 Some of the peanut butter produced at American Blanching/Golden Boy Foods is also used for therapeutic peanut product. MANA – “Mother Administered Aid” – is a ready-to-use therapeutic food (RUTF) that is fortified peanut paste. The product has been formulated to provide all of a child’s basic nutritional needs. The product is served in an easy-open packet and can provide life-saving qualities to starving child when administered three times a day. The product is widely used underdeveloped countries where childhood malnutrition is common. To learn more about MANA, visit www.mananutrition.org. In 2014, American Blanching joined with Golden Boy Foods to become the largest private label and contract manufacturing nut butter organization in North America. Golden Boy Foods was founded as a family-owned company in 1979 and sold primarily roasted and raw nuts, as well as dried fruit. Today, as a subsidiary of Post Holdings, the company supplies organic and conventional grown nut butters, baking nuts, raisins, dried fruit and trail mixes to leading grocery stores, food service distributors and industrial bakeries across North America. 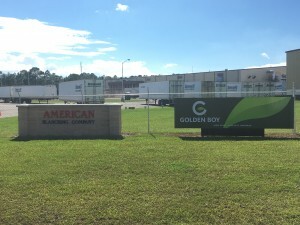 American Blanching/Golden Boy Foods is located in the peanut-producing area of Ben Hill County. 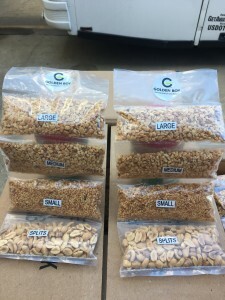 According to Holly Anderson, Ben Hill County ag and natural resource agent, Ben Hill County farmers planted approximately 7,000 acres in peanuts for 2016 and are estimated to produce between 3,500-3,750 pounds per acre. For 2016, Anderson said most farmers are struggling with the lack of rainfall, especially on dryland fields, and disease pressure – both tomato spotted wilt virus and white mold. Even so, she said the crop is looking fair/good depending on the amount of rain received and disease pressure in specific areas. The two major crops grown in Ben Hill County are cotton and peanuts. 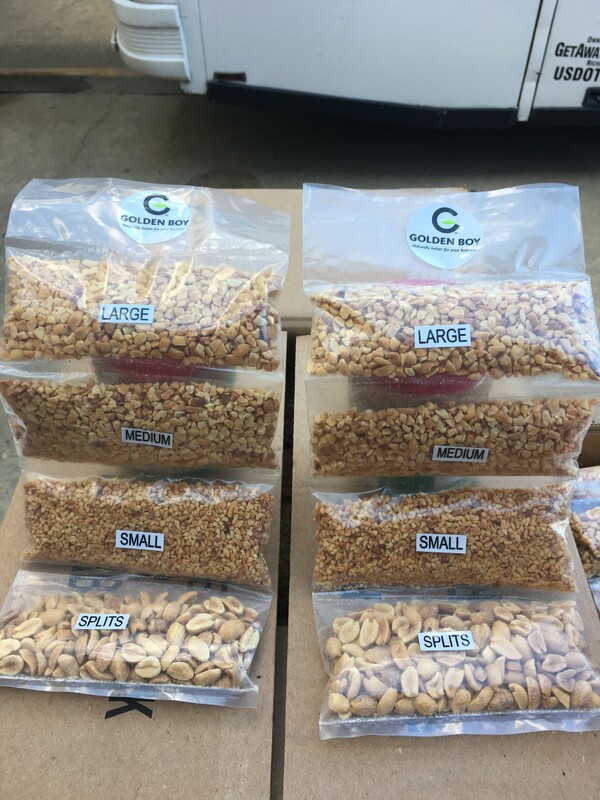 In regard to peanuts, approximately 60 percent of the crop is irrigated and 40 percent dryland. The day concluded with dinner at Nabila’s Garden Restaurant in downtown Fitzgerald.